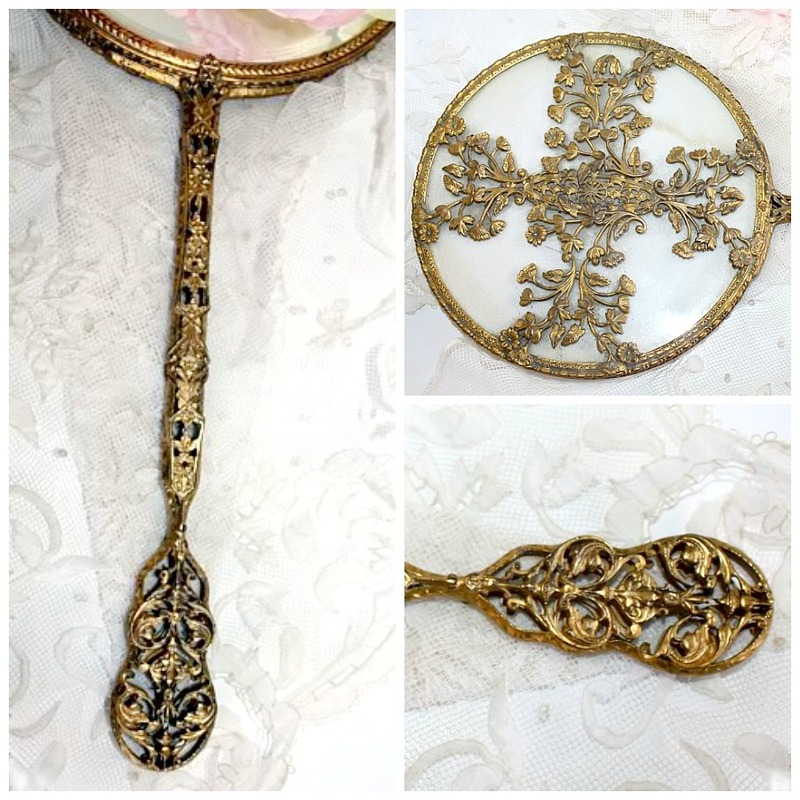 Luxurious Antique Gilt metal Hand Mirror with fabulous metalwork and ornate filigree in Art Nouveau design. 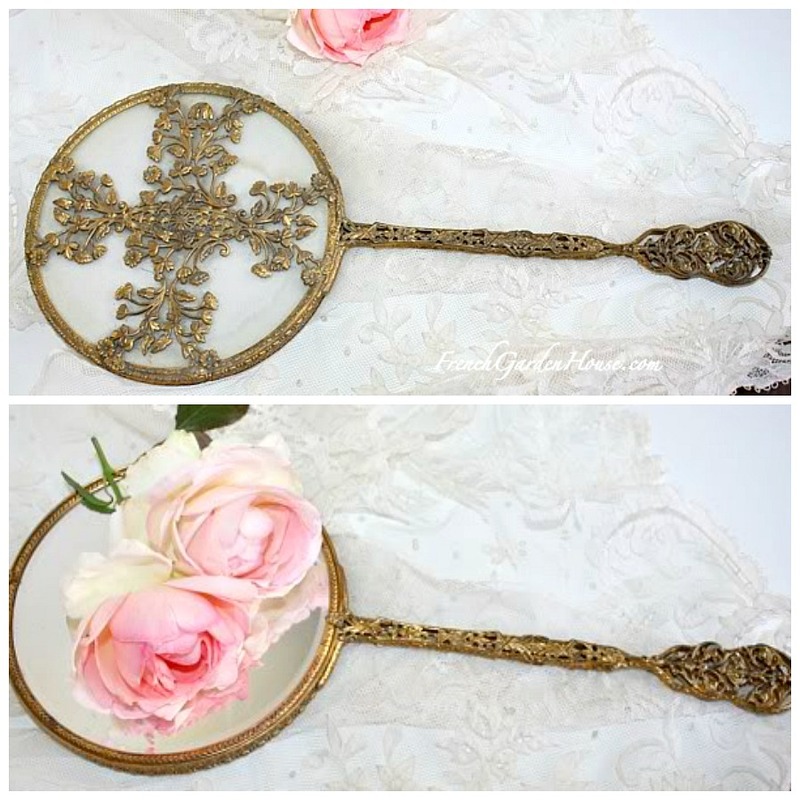 Made by Apollo Studios, Stamped APOLLO on the side where the handle joins the mirror. Apollo Studios was a contemporary of Tiffany & Co and produced some of the finest metal objets d'Art during its years of operation in 1909-1922. This is quite a large mirror, Apollo is know for exquisite detailing, and this piece doesn't disappoint! Lovely floral and foliate designs decorate the intricate filigree. The mirror is bevelled and in good condition. The Cream silk behind glass on the face of the mirror has light water staining, this doesn't bother me as this is over 100 years old, after all, and was used and beloved in a lady's boudoir. There is some wear to the gilt as would be expected. Perfect for your French Vanity. Measures 14~1/2" l. x 6~1/4" w. Divine!